It is always good to refresh your CPR skills regularly, so when you need to use them you are confident to do so. We are 100% Australian owned and operate vocational education and training classes in the CBD in Central Coast, Parramatta, Wollongong, Sydney, Liverpool, Penrith, Newcastle and Hornsby NSW, Brisbane and Gold Coast QLD, Melbourne and Dandenong VIC, Adelaide, Perth, Phillip Canberra, and Hobart Tasmania. 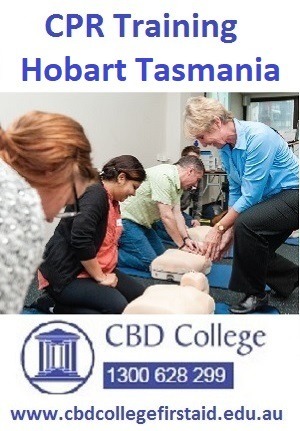 CBD College is an Australian RTO (91399) specialising in First Aid and CPR, Cert IV TAE, Cert IV WHS, Diploma WHS, Advanced Diploma WHS, Whitecard, RSA, RCG and Barista Courses.